The world's most advanced racing game returns with thunderous new features. Get all the tire-screeching excitement of real-life racing with Gran Turismo 2. Tear through 20 hair-raising tracks from Seattle to Tahiti in one of more than 500 incredibly detailed, brand name autos. The challenges are divided into different racing experiences ranging from arcade to simulation, street to rally racing, and more. Then customize your car by purchasing parts with your winnings. With hundreds of challenges and more depth and replay value than any other racer on the face of planet, the fun never ends. Excellent game. Best racing game ever in PlayStation racing genre. I received the Greatest Hits version of the game, there were two small cracks on the front of the case (upper right corner). That probably happened during shipping though, and I replaced it with the back of another CD case with ease. Other than that, the game was in great condition, the CD's had no scratches and the manuals were in mint condition. 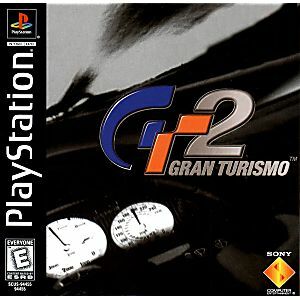 Gran Turismo 2 in one of the best games on the PS1 and one of my favorites. Overall, I'm satisfied with my purchase. This game is great, if you enjoyed the first Gran Turismo you will surely like this one. 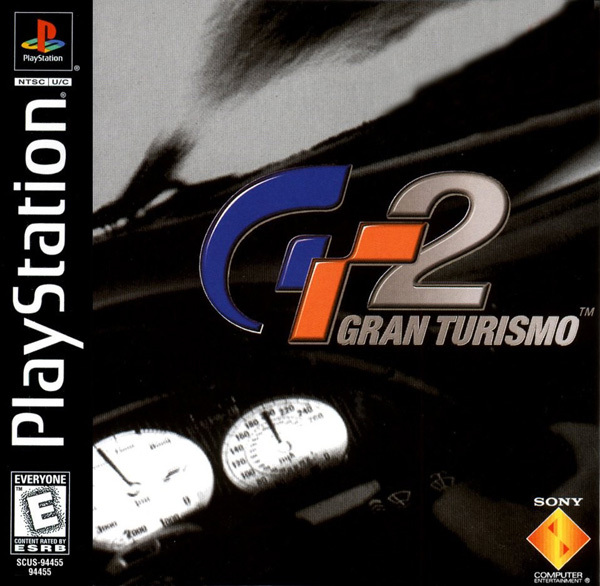 Even if you like the newer Gran Turismo games and you have a PS1 or PS2, try it. I think anyone will like this game even if you are a serious gamer or even a casual gamer.